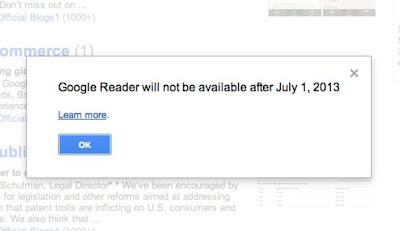 Myne Whitman Writes: Google Reader is Closing Down - What Does That Mean? Google Reader is Closing Down - What Does That Mean? I'm not happy about this development because I know a lot of us here in blogsville use Google reader to follow blogs we love. I still follow about 600 blogs, and have more than 2000 followers on the Google Friend Connect, many of whom I'm sure read my posts on their GR. BTW, the Google Friend Connect has also been rested and I guess it may be time to take it down, no matter how much I like those numbers. Feedburner too may be on the way out. This is one fear people have about Blogger and Google and their "free" products. Nigerians will say "Awoof dey run belle". While free stuff is nice, most times, he who pays the piper will really dictate the tune. And while you may hate the tune, you still have to dance. Some people have moved to wordpress.com or self-hosted sites because of this, they don't want to wake up one day and realize blogger has been shut down and all their content gone. So what does this mean for me? I'm not going anywhere for now, but it may be on the cards. I'm being quite careful, though from what we have seen with Google in the past is they'll give at least three months notice, and make a way for you to take you stuff like in the PR above. 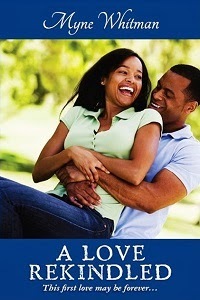 I have over 1000 posts on this blog and over 25000 comments, I keep backing up any chance I get. So what does it mean for you? Maybe nothing if you do not follow and read my posts via GR. If you do, you may have to come to the blog or find another way. I will list several options. If you always visit the blog but just want to know when new posts are published, any of the following will work for you. My posts are automatically pushed to these social media so you'll always be among the first to know. Please, let's keep in touch. What Blogger, GFC, Feedburner and GR has put together, no evil internet behemoth Google shall put asunder. PS - If you know the Hitler meme, you'll find the video below hilarious. I was snorting water through my nose when I watched it. Somebody is sure not happy.